Petri dish containing bacterial cells. Implantable medical devices are becoming increasingly unsafe because of antibiotic resistance, the Young CAS group writes. Photo: Shutterstock. During this open seminar and panel discussion, young researchers will discuss and debate the challenges that increasing antibiotic resistance entails, and how they may solve these issues. One of the problems humans face within the fields of health and medicine is antibiotic resistant bacteria and infections. Today, procedures to replace joints with implants are fairly common, and infections which may occur after such procedures can be treated with antibiotics. However, our extensive use of antibiotic pharmaceuticals makes standard procedures riskier and maybe even impossible to carry out in the future. If antibiotic resistance continue increasing, we won’t be able to fight off postoperative infections. As part of CAS’ newly developed concept YoungCAS, young and skilled researchers with different backgrounds associated with either the development of implantable medical devices or the treatment of biofilm infections will attend a week's workshop at CAS. 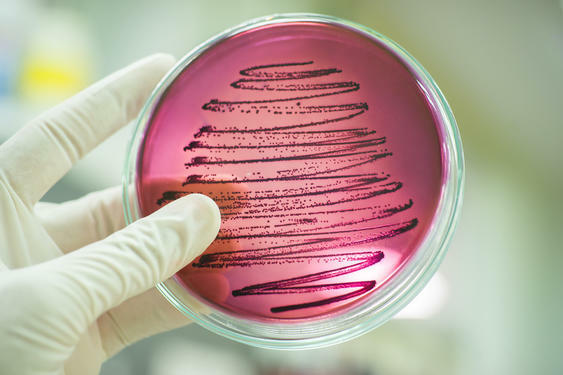 The goal is to initiate a collaborative project aimed at developing a new generation of biomaterials that are easily integrated into patients while preventing the formation of biofilm and subsequent antibiotic resistant infections. Information about the seminar can also be found on UiO's webpages. Read more about YoungCAS project 2017 here.